Warning: reading this blog post could lead to catchy silly kids songs being stuck in your head for days and maybe weeks. Let’s face it, sometimes you just need a silly song playing loudly to inject some immediate FUN into your home. “Family Dance Party” has become a favorite of my kids and is one of those activities that I’m sure they will remember fondly someday. I love it because it gets us all up and moving no matter the age! Over the years the kids have discovered lots of these songs. They all have catchy beats and lyrics and more than one of these is now burned permanently into my brain! The really cool thing is that you can use your Amazon echo (everybody has one now right?) and just say “Alexa play _______ “ and the dance party starts immediately! These all use Amazon Music which is awesome, we love it in our house, especially with the Echo Show. Amazon Music Unlimited is even more awesome! We love family dance parties too! Although I have had Amazon Prime for years, I still do not really use Alexa. I clearly need to get me an Echo ASAP and start. I don’t even have kids yet, but I feel like somehow I’ve managed to get the Baby Shark song stuck in my head from all the YouTube videos and dance challenges! Haha, I can only imagine the “I Poop” song! How cool is this! We don’t have Alexa, but I am thinking of getting one in the near future. I bet kids will love them! So fun to dance around! OMG, these songs are so silly! 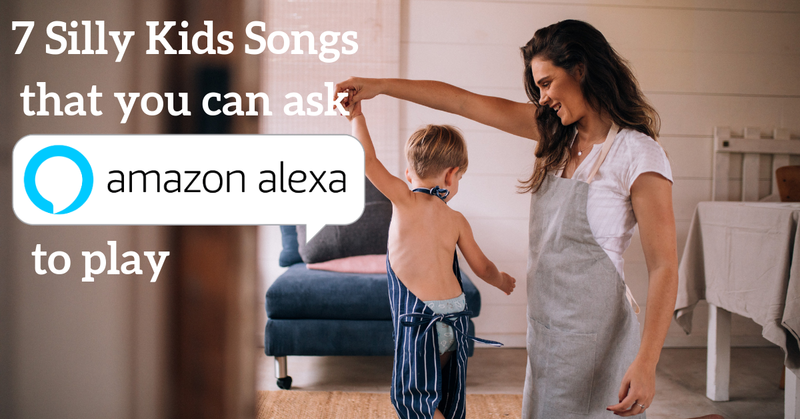 I guarantee my kids would love the I Poop song LOL – I just need an Alexa, now. I can’t wait to try these tomorrow for my dance party with my toddler. I’m not looking forward to the day when my daughter can say “Alexa” and ask it to play her all of these songs. The baby shark song kills me. I’ve done well keeping it out of our house but the kids at daycare sing it so UGH! Baby Shark is a fan favorite at our house right now, along with Elmo’s Brush Your Teeth. I needed a few more dance numbers to put into our rotation. Thanks for the suggestions! I love this! Although baby shark gets stuck in my head so easily. I’ll have to try this with my friend’s two year old- I think he would get a kick out of it. Oh, I have to try these. I didn’t know about these songs. Now you have put these on my mind! Baby Shark is the only one which I have heard and my daughter is crazy about these. Apart from baby shark I haven’t heard the rest and this one itself plays on rat home. I have to check out the others. Oh dear, this is too hilarious. 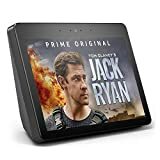 I don’t have Alexa and although I have no plans of getting one this sure does sound like a fun way to change the mood and atmosphere of any setting at home. How did you even find some of these!! I never know where to look – there’s so much out there! I babysat my granddaughter the other night and it was my first time using the Alexa.. I of course, had it play Baby Shark for her. I poop! My son will be so excited to hear it. Let me try it tonight. I Poop?! hahahah just told my son about this, and he burst into laughter. I’m pretty sure, this topic is not going end today. He still has his sister to break the news to. Thanks for sharing these silly songs for kids! They seems fun though, perfect for my nieces at home..
My kids favorite thing to ask Alexa is to play songs. Oh, and to tell jokes. And to beat box. Cool roundup. Apparently, children requesting music using Alexa is very popular. Baby Shark is one of my faves. I have heard of some of these but others I haven’t. I am going to have to check these out that I have never heard of! 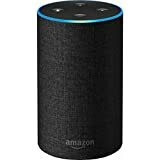 I agree Alexa is the joy in our party everytine we have get together at home. Kids loves to request a song and play with it. I love these suggestions! We’re on a Baby Shark loop over here so it’s good to have some other silly songs to get a break! As soon as I saw this post I started to hear Baby Shark too! Ha ha ha, what a cute festive post!